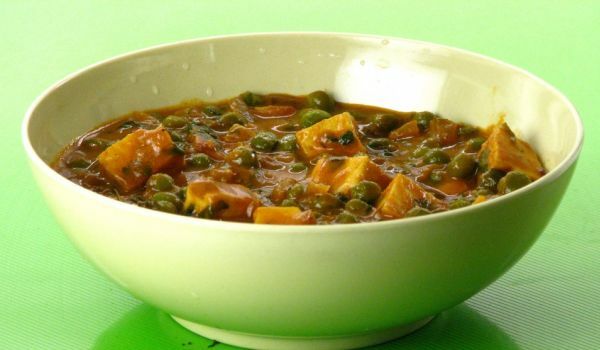 Matar Paneer Masala is a very popular recipe. Learn how to make/prepare Matar Paneer Masala by following this easy recipe. Heat the ghee in a frying pan and cut the paneer into 2.5-cm/1-inch cubes. Fry the paneer to a light brown and remove to drain on a plate. Pour in the water and simmer gently for 20 minutes. Serve the matar paneer sprinkled with garam masala and coriander.